Last week was Easter and it was great day AMEN? Let me tell you and encourage you at what God is doing here at Grace. Last week we had 101 in service. Wow, that is incredible. We had 16 visitors last week. That is 16 people who had never been here before. That is a direct result of us inviting. Now some of those visitors were from out of town and just found us. That is pretty cool. Here is how I see it. When we are faithful to do what God wants us to do, He brings the increase in His way. But that is not all. We had 1 person indicate that they were beginning a walk with Christ last Sunday. Can I get an AMEN? That is why we do what we do. But wait theres more… We had 2 others indicate that they were considering the claims of who Christ is. That means we had 2 others who are close to beginning a new walk with Christ. That is a result of God’s people accepting the call to be disciples. To following His heart and reaching out and inviting those who don’t know Him to experience Grace. Amen? 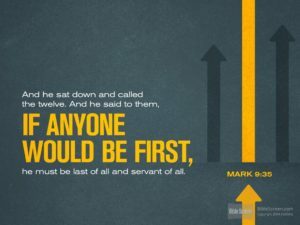 Well today we are going to jump right back into Mark 9 where we left off 3 weeks ago. If you remember we were in the part where Jesus has been teaching His disciples what real discipleship looks like. He has been helping them through learning that “failure does not define them, it refines them” Let’s start in vs 30. This is the second time that He specifically tells the disciples the plan. Remember last time He told them Peter rebuked Him and Jesus called out the spirit of Satan himself in Peter. So Jesus tells them again. Don’t you love that? It is not one and done with Jesus. He is so patent with us that He teaches us over and over the same lesson until we finally get it. This time they get a little smarter and they don’t rebuke Jesus. Amen for little progress? But it says they still did not understand but this time were afraid to ask Him. Let me say this… God never wants us to be afraid to ask Him anything. I am sure because of the last time He was speaking like this it did not turn out so good so they are really hesitant to ask anything but that is not Jesus’ heart for His disciples. Jesus can be trusted. He desires a relationship with us. James 1:5 says… If any of you lacks wisdom, you should ask God, who gives generously to all without finding fault, and it will be given to you. Here we begin to see the next lesson Jesus is going to begin teaching His disciples. This is not a new lesson, Jesus has been modeling this, He has been teaching this all through His ministry but ultimately He must confront this issue head on with the disciples. Here is where we struggle, no sooner does God begin to use us, and then we begin to get puffed up and begin to see ourselves as a gift to the work of God. But we must understand we are not the gift. It is the Grace of God that is the gift. As we looked at last week Grace is what we receive from God as undeserving people. When we see ourselves this way the discussion of who will be the greatest will never enter into the picture. But so often we play the comparison game and we put ourselves outside of God’s grace in our lives. Here Jesus shows His Twitter skills. He distills the entire lesson into a 75 character tweet. But in these few characters He reveals their hearts, and tells them the remedy for their issue. In essence He shows them what greatness in the Kingdom of God looks like. If you desire to be seen as great, you must view your self as least. He could have stopped right there and many of us would actually like that because that is just an exercise of the mind. And many of us would be very glad to be self deceived into thinking that we can just think of ourselves as least. But the old adage goes, “actions speak louder than words.” So Jesus not only tells us what our mindset should be but also tells us what that looks like practically worked into the life of a disciple. There are 2 critical words we must look at in this simple phrase. Someone who is in a hurry to executes the commands of a master. The word literally means to kick up dust, to move quickly into action. the voluntary performer of services, whether as a freeman or a slave; suggests subordination. 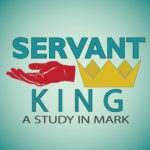 John was the youngest of the disciples (to our best knowledge), and this is the only time we hear his words in the book of Mark. I am sure this is part of the conversation that they were having earlier about who would be greatest in the kingdom. But I can only imagine how uncomfortable that the previous remarks were to John. Jesus is confronting the disciples as a group and telling them to stop worrying about position and power and instead humbly submit to others. This is so uncomfortable in fact that John tries to shift the subject away from his own issues to someone else’s issues. But even in that he reveals himself more. Have you ever done that? I know I have instead of dealing with my own stuff I raise someone else’s stuff to not be in the spotlight any more. That is blame shifting. We do it all the time but God understands that game and knows how to shut it down, and more importantly show us how that is our own selfishness and pride again. 39 “Do not stop him,” Jesus said. “For no one who does a miracle in my name can in the next moment say anything bad about me, 40 for whoever is not against us is for us. This is a very powerful and amazing response. Jesus does not take the bait. You see if I was Jesus (thank God I am not) my pride would have probably welled up and said “What? who is doing this in my name. How dare they use my reputation”. But instead Jesus responds in complete confidence and control. It would be very easy to for us to dismiss this response as Jesus operating in His divine nature, and for us to say… well that’s easy for Him, after all He is God. But I want to challenge us. I think that Jesus never responded in His divine nature. In fact I think if Jesus did He would have nullified His ability for us to relate to Him. So how did He do this and by extension how can we do the same thing? He did this because of two things. He was secure in who He was before God. He was secure with God’s sovereignty. First, He was secure in who He was before God. He knew that no matter what men might say about Him that ultimately that did not change what God thinks about Him or how He perceives himself before God. How does He do that? By staying close to the Father through the Holy Spirit. This is a key component of the Christian life that we need to understand and develop. What God says about us is the only thing that matters and He will speak to us through the word and the Holy Spirit as we seek to draw closer to Him. Second, He was secure with God’s sovereignty. He knew that if God needed to judge or deal with someone else’s stuff that He is powerful and able to do it without our assistance. Once again this is where our pride and arrogance gets in the way. Well if we don’t set the record straight, if we don’t respond and shut this stuff down, then something might happen. My reputation might be a stake here. Or often times we will instead use “God’s reputation might be a stake here.” Let me say this up front. God is the only one who has a reputation to guard here and He can defend Himself much better than we ever could. We must trust that God is in control and He will do what He wants to when He wants to and through whoever He wants to. That might be you, but be sure that it is His job to give the marching orders in this regard. Jesus brings the disciples right back to the heart and crux of the matter. Service! That is what greatness in the kingdom looks like, Submissive quick to act in service of the King. 42 “If anyone causes one of these little ones—those who believe in me—to stumble, it would be better for them if a large millstone were hung around their neck and they were thrown into the sea. 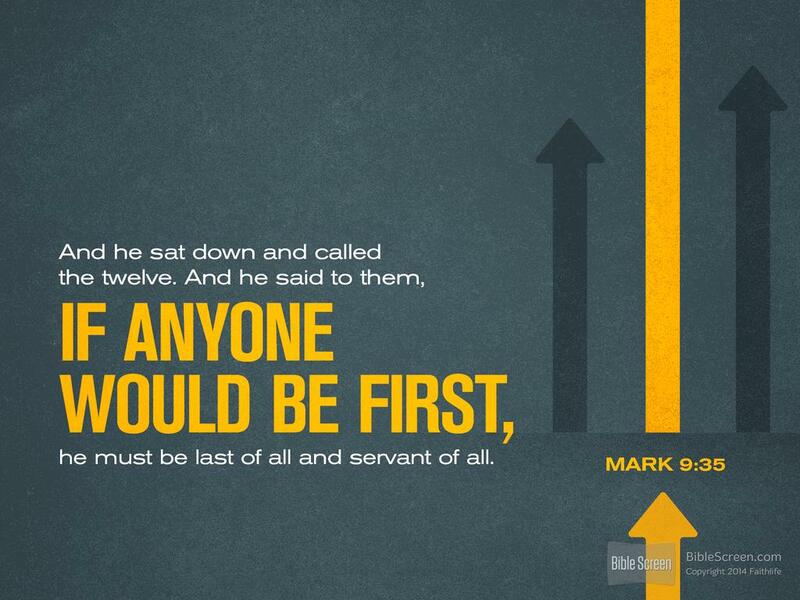 I had always thought that Jesus was talking about the children again in this phrase and that might be partially true but mark qualifies the remark. When we see little ones we think Jesus is referring to size of the children, but the words little ones here is not referring to size it is referring to spiritual maturity. He is saying once again God will defend those who are week. It reminds us that God’s justice is much better and more complete than ours could ever be. There has been a resurgence of a movement in the last 10 years that has sought to deny the existence of Hell, or of eternal punishment for those who reject the free gift of Grace. If anything should dispel this myth it should be these verses. Jesus very clearly declares what Hell is. A place of eternal death and torment. Some people say that Jesus is using hyperbole here but that seems out of the context of what Jesus is teaching. I believe Jesus understood and said what He meant. If something is holding you back from following Christ the way He should be followed. It would be better to excise that thing from your life than to to risk the torture of eternal separation from God. Notice the repetitive nature of these phrases. God uses this repetition to drive home His point. This last phase is often misunderstood and is used in a evangelistic context that we should be salt and light in the world. But Jesus is not using salt in the sense of a savory seasoning but instead is referring to salt as it’s primary use of His day. A preservative. Salted with fire is a phrase that could instead read preserved with fire. Then Jesus says salt is good but if it looses the ability to preserve things it becomes useless. Then He tells the disciples. Have salt among yourselves. In other words protect each other, care for each other, look out for each other. How do we do this? Be at peace with each other. Don’t try and outdo each other, don’t worry about your position or your power. Instead serve and then you will be great in the kingdom!